To immediately fix things, I precise than I don’t attach a vital importance at the brand of my equipment. I’ve owned equipments of brand quite different (Nikon, Canon, Olympus, Fuji) and my choice for Leica equipment’s was made on the only fact of the result camera / lens. To precise that, I would develop by saying that if the Leica camera are beautiful tools in cosmetic point of view and in manufacturing terms, they not crush the competition when we stick to the image quality. The other marks, strong of their experience and often of means superior to Leica, have brought to the digital photo to a level of excellence and maturity which cannot be discussed. Previous cameras I’ve owned have given me some beautiful photographic joys and I won’t denied to have appreciated them. For information and in the order, here are the material that I‘ve owned: Canon EOS5D, Nikon D700, Nikon D3s, Fuji X-Pro1, Olympus OM-D, Nikon D800E, and Leica M8. Nothing but good things you will tell me so why Leica? Well it’s because, in my opinion, only Leica can give me a palpable emotion in the image, perhaps this cannot be explain but the perfect clearness add to the blur background very esthetics are for me the explication the more rational that I can advanced to explain what I feel with the pictures of Leica. And that, I think it’s, first of all, the Leica lenses who confer those results. Compacts, very well built, they are be able to restitute the finer details with a subtlety and a precision than I find incomparable. And, element decisive, the compactness of the system M. I do not want cart around me 5 pounds of material in a huge bag and a notorious lack of discretion. All this without giving way to the picture quality (full format preferred) and a system with a true sight. The sensor CCD 18MP full format combined to the excellence of Leica’s optics does wonders but the two novelties who arrive of the plants of Solms give truly a desire and a willingness to possess a tool more performant to the service of the picture. The two cameras in concurrence are the M Monochrome, already available and the M (equivalent of the M10) who arrives on the market slowly. The essential difference, to an ergonomic point of view, is that the Monochrome is built on the base of a M9-P, i.e. the same camera of M9 but with a screen Saphir and a softer triggering. To a cosmetic point of view, the Monochrome is without writing or frontal pastil, other common characteristic with the M9-P. The beauty of this camera doesn’t need to be discuss for who like above all the discretion and the concept of the M, which is my case, it is absolutely magnificent!! Some will say that this aspect of things has no influence on the results of the pictures. This is evident but at 6800 Euros, it is easy de understand that the esthetic of the camera is not so insignificant of that. The sensor of the M Monochrome is an 18MP exclusively Monochrome, like indicate his name. The goal is to reach the top in the restrictions of grey’s shades for a precision even bigger for the pictures black and white. It is clear to that point of view, this camera, for who want to do only Monochrome is at the top of the discipline. The pictures has a velvety, a quality of textures and a rendering high lights and shading which are properly exceptional. To have recovered DNG raw files sensors, the latitude and processing capabilities are really huge. Another important point, the rise ISO, significant difference with the M9 series, is excellent with the ability to make pictures beyond 3200 iso with no problem. Knowing that for my use, 3200 iso is really the maximum to what I intend to get for a new camera. So, the Monochrome concept is very clear, a minimalist camera, classic and discrete is the base of M9-P with a sensor exclusively dedicated to the black and white with a mounted in high sensibility impressive. This camera, always based on the M concept still dating from 1953, is new in a point of view ergonomic and technical characteristics. I see, right away, the « Leicaistes » of the first hour shouting at the treason regarding the first part of those evolutions. It’s true that this may suggest a desire for Leica to turn away from of his image of minimalist photography, based on the necessary and sufficient to serve the shooting. I think that it’s in this goal that Leica has decided to maintain to the catalogue the M-E which is a M9 makeover for those wishing to stay in a certain Leica’s spirit. Why does Leica come out a M Monochrome on the base on an older camera instead to differ its release of few month and integrate it in a M camera? Well, it seems that Leica think that the spirit of the M Monochrome will be preserved in a camera minimizes like the M9 that in a most modern like the M camera, more modern. However, it seems to me that Leica would also bring a number of improvements that even aficionados of the brand expected. I think specially to the back screen on the M9 who is really bad. Not only in size but also and especially in the definition because it is somewhat difficult to get a precise idea of the image taken when the need arises. The battery, more durable, is also an improvement to my opinion. In my case, I am not so sure that a second unity will be necessary. About the aiming, I am a lover of the rangefinder, so I don’t know if the electronic viewfinder would have any utility but the fact to put it later can be considered as an advantage, specially for the focal difficult to use on the M system telemetry. Regarding the Live-View, in my case, it is not decisive but sometimes it is a real plus to be able to use it in difficult conditions. On all the cameras that I had, I always used the sighting screen like that, occasionally and because only when the conditions will not permit a shooting with viewfinder. The video don’t interest me at all, so I will not develop the subject because I don’t have any knowledge or waiting about it. Spot metering or matrix, I don’t know really what to think about it for the moment. The center-weighted measure of the M9 suit me very well but perhaps these two additional measures will be useful on the ground in certain conditions. The ability to mount the optical R must be really important and welcome for those who have this kind of lenses, it is not my case so I won’t make any judgment on this subject. I don’t see myself to buy this range of lenses and practice this kind of mounting. The possibility to put a grip doesn’t interest me either at first. One of the reasons for the choice of Leica is compactness of the system so I don’t see me dress up the camera with such device. The pictures of this test are available on the following link in the article named « Leica M, petit test rapide… ». Regarding the grip, no worry for me, it is an M. I precise that I used it like a M9 because I wanted before all to have pictures and not use the time of test to do multiple handling who are costing in time. The boss for the thumb which gives a very good grip. The weight and bulk a little bit superior even although I quibble here. This test lasted 45 minutes and I don’t claim to have tried everything, it is far to be exhaustive particularly regards to the handling of the camera. So I copied pictures without artistic value that I immediately unloaded on my Mac Mini. Aperture user for ages, I enjoyed to be able to treat the pictures in DNG directly on my favorite software. I had to work the picture of M Monochrome on Lightroom and I admit that if I didn’t have special difficulties, I am still much more comfortable with Apple’s software. It was, after treatment of the pictures in the normal conditions for me, to see if the images of the M will have a true amelioration in regard of what can do the M9. So I have, as usual, make things in two time of study. A first time for the treatment, and of course an initial visualization based on the discovery and amazement. Then, the following days, a more careful study to be sure on my judgment. My fear, like a lot of users of Leica, was the passage of the captor CCD to CMOS. Will we keep the signature of Leica pictures? The M will be always an M? In my concern, after treatment of DNG, I didn’’t see significant difference between the both cameras at this level. I read the article and saw the pictures of Jean Gaumy in LFI magazine where he had mixed the pictures of the two cameras without we can be able to determine the origin of the camera of each. My conclusion reached this state of fact, the M is not different of his predecessors. The definition of 24 MP, superior to the 18 MP of the M9, if perceptible A3, is visible only by paying attention. In the end, however, it is real and brings greater finesse compared to the M9. Simply, the M9 is not dropped on this point, far from it. I am skeptical anyway on this notion of definition. It seems to me that since the sensors 12/14 MP, progress is not as decisive as that. Clearly, I found than since these sensors, progress are real but do not dig a gap at this point essential. My Fuji X100 (12 MP) is still making impeccable pictures despite his captor APS-C. The white balance is better, no doubt. Even it is not essential for who’s making DNG, it is a significant gain in my opinion even it is only for the rightness of the scene in situation. Analyses of the light appeared to me more just than the M9. Perhaps it’s just an impression but that what I felt to use. However, it’s possible that it is more in the order of sensation that something real because I didn’t test the matrix metering and just a little the spot metering. I noticed that the CMOS sensor seemed less sensible regarding highlights with less propensity to render burnt areas. But, there is a point on which the M affirms his superiority in a way incontestable compared to the M9, like the M Monochrome, it’s the picture quality in high sensitivity. At this level, the CMOS sensor allows a rise to 3200 iso in keeping for the picture not only a very fine granulation and esthetic but also a colorimetry very just. I didn’t test in 6400 isos because I don’t think using such sensitivity. In this little game of comparisons, I will say that the M give at 3200 isos what the M9 allows at 1000/1250 isos, and there, the gain is evident in some situations. It allows in particular to use the camera in iso-auto mode without rear thought. So, M Monochrome or M, on which camera I will make my choice? The temptation for the M Monochrome is high. For me, who make 95 % of my pictures in Black and White, it’s evident than a sensor of an extreme quality as the one of the Monochrome arouse lust. The files are beautiful, very workable with an accuracy of tones and shades who confer to the perfection… The quality of the camera, his discretion and his beauty are as much are criteria that making than I am very inclined to give in to the temptation. Nevertheless, the camera is from the previous generation, with a screen unworthy for an equipment of that range of price. And then, the benefice of ameliorations arrived on the M (screen, live-view, battery, red frames, possible electronic viewfinder…) are not integrated for a price 10% higher. And then, however a big heartbreak for the M Monochrome, my choice will be on the M which seems more polyvalent, more actual. It will allow me to treat some rare subject in color, to benefit of the famous ameliorations even if all don’t interests me. The picture quality is really waiting for you and the output files, whether in color or black and white, are truly excellent. With the suitable treatment and for my part without big efforts, I found pictures in monochrome of the M are truly close of the one of the M Monochrome, not necessarily exactly the same level but very very close. The difference exist but it’s subtle to my opinion. Anyway and with no contest a step up from those of the M9, without comparison beyond 1000 isos. Well, after much thought and hesitation, my choice is made. It’s mine and perhaps it can be subject at discussions. I know some who will make another choice, I respect it and understand it because it’s evident than between those two great cameras, there cannot be no bad choice. The criteria of each one will carry the choice to one or the other in my concern, I cannot bring myself (yet) to do the exclusive choice of all Monochrome in a camera minimalist in 2013. It’s why the M convinced me…. But what does reserve to us Leica next? I read that and there are many things who can seem absurd, especially on the future existence of the rangefinder, but in this field of photography, we often lived some turnovers that make me prudent in terms of speculations. Wow some beautiful photographs! To me, the main question is whether you´d like to be forced to see in B&W when taking the picture. 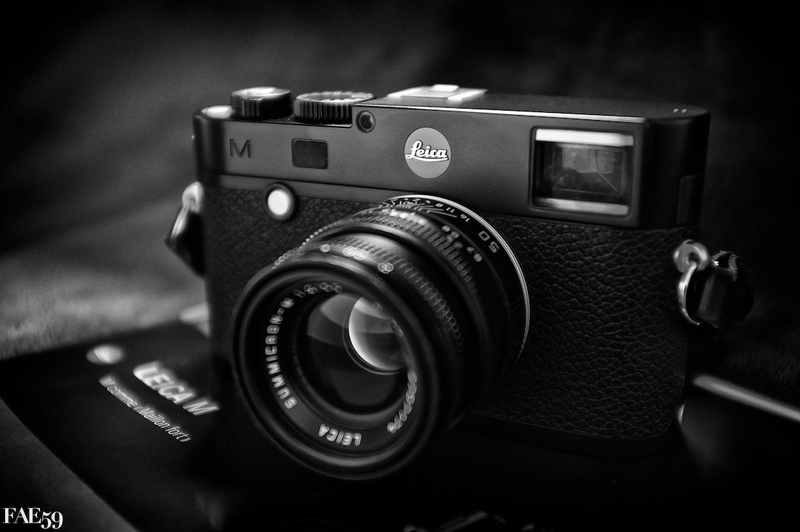 As a alternative, and given the Leica release cycle, the Monochrom based on the M must be on the works and due to 2015. At that point, you can decide if you want to get the new model or the outdated MM for less money. Die Betrachtung kann nur subjektiv sein! Ich habe mich im Herbst des letzten Jahres entschlossen, eine Leica M Monochrom zu kaufen, weil ich seit ich denken kann, Schwarz-Weiss-Filme belichtet und entwickelt habe. Ich liebe die Abstraktion und deshalb ist mir die Entscheidung leicht gefallen. Die Ergebnisse geben mir recht. Ich würde meine « Henri » jederzeit wieder kaufen. Ich benutze übrigens die Objektive Super-Elmar-M 3,8/18mm, Summarit-M 2,4/35mm, Apo-Summicron 2,0/90mm und bald Apo-Summicron 2,0/50mm.